Qualcomm's reduced its third quarter revenue projections as it expects not to receive a large chunk of licensing revenue from Apple's partners. Apple has filed lawsuits against Qualcomm in countries like the U.S., U.K., China, and Japan, accusing the chipmaker of using its dominant market position to overcharge licensing fees. The iPhone maker itself doesn't pay licensing fees directly to Qualcomm. The fees are paid by partners like Foxconn, which makes the iPhone and iPad for Apple. Qualcomm is now accusing Apple of interfering with the licensing payments owed by those partners. 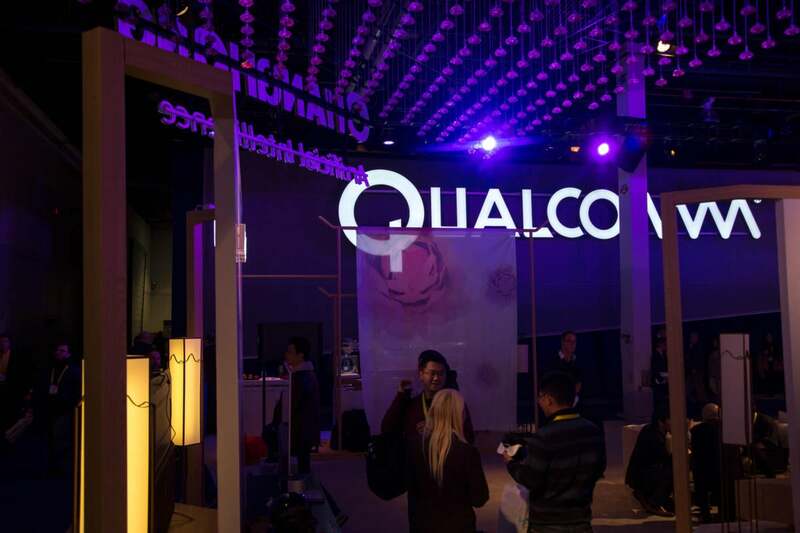 Its revenue forecasts for the third quarter are affected, Qualcomm said. The chipmaker on Friday revised its revenue projections for the third fiscal quarter. It is projecting revenue to be between $5.3 billion and $6.1 billion. That range runs between a decrease of 12 percent and an increase of 1 percent, compared to the same quarter last year. The forecast removes royalty revenues from Apple's contract manufacturers. In a second quarter earnings call, Qualcomm president Derek Aberle said the company's third quarter would be hurt by lower licensing revenue from Apple's partners, but he couldn't pinpoint an exact amount. Apple is a big customer of the chipmaker. In the most recent quarter, Apple suppliers underpaid royalties to the tune of $1 billion, Qualcomm said. But the chipmaker didn't take a loss those underpayments because the amount was similar to a sum held up by Qualcomm but owed to Apple in a separate agreement. Apple in January filed a $1 billion lawsuit against Qualcomm in a California court, claiming the chipmaker was overcharging for royalties. Apple said Qualcomm was charging royalties for a portfolio of technologies, and not for the price of the baseband chip used in mobile devices. Qualcomm countersued Apple earlier this month for breach of contract and failure to negotiate licensing terms in good faith. The Apple's lawsuit came after an investigation by the South Korean government resulted in Qualcomm being fined $853 million for unfair licensing practices. Qualcomm accused Apple of cooperating with the South Korean government in its investigation. Apple is one of Qualcomm's largest customers, with the chipmaker's modems used in iPhones. A small number of iPhones have Intel's modems. Intel is now ramping up its modem product and is making a run at 5G radios, and Apple could move more of its iPhones and iPads away from Qualcomm's modems. For now, Qualcomm has a lead in modem technology and was the first vendor to offer gigabit modems. Qualcomm has also said outside of the lawsuits, it will continue to maintain a strong supplier relationship with Apple. Samsung continued making chips for Apple's iPhones even though the companies were previously embroiled in lawsuits.